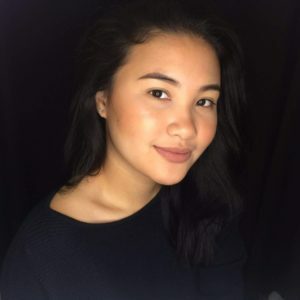 What began as space for the youth to get away from their suddenly social media inclined parents has given birth to a powerful marketing tool. 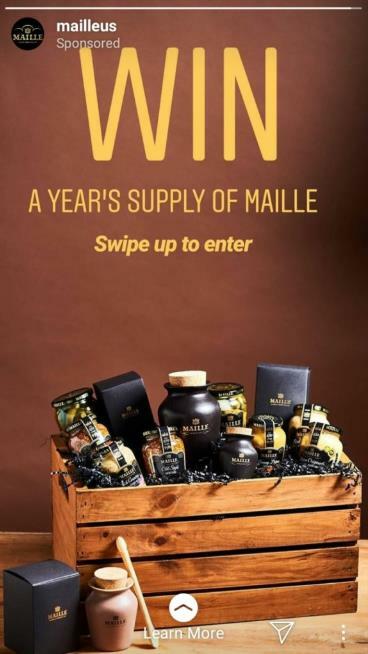 And since Instagram and Facebook “adopted” the ephemeral content format from Snapchat, its user base has gone above and beyond the young and their face filters. In fact, Stories creation and consumption is up a staggering 842% since early 2016, with nearly 1 billion accounts across Snapchat, Instagram, Facebook, Messenger, and WhatsApp creating and watching these fleeting photos and videos. According to Facebook Chief Product Officer Chris Cox, the Stories format is expected to surpass feed sharing sometime in 2019. And with that big of an audience, the marketing opportunities are virtually infinite. Below is a brief discussion of the benefits of ephemeral content and tips on how to leverage it to boost your brand. Why ephemeral content has been such a hit? There’s a reason why user-generated content is also on the rise, and it’s because more and more, people are leaning towards authenticity. According to one report, 60% of consumers say content from friends or family influences their purchase decisions. Meanwhile, 86% say authenticity is important when deciding which brands they like and support. Keeping things on the real is an element that ephemeral content brings, making it resonate the way it has. The very nature of content that disappears after a day makes Fear of Missing Out an important component of ephemeral content. It could be a flash sale, a behind-the-scenes look at an event, or teasers for upcoming releases. Whatever it may be, the fleeting nature of ephemeral content motivates people to actively seek it, as not doing so could leave them out of the loop. Users just feel more comfortable posting raw content on their Stories. There’s no pressure to come up with the perfect shot (as they would normally aim for in their feeds). And it’s this rawness that makes ephemeral content appealing to both create and consume. Because people are increasingly trusting their peers more than they do brands, ephemeral content presents a great opportunity for the latter to humanize themselves. Because Stories, by nature, are rawer – it provides brands with the platform to present themselves in a more authentic way, ultimately making them more relatable. This authenticity helps build genuine, and if you so choose, quite personal relationships between brands and followers—making it a magnet for engagement. 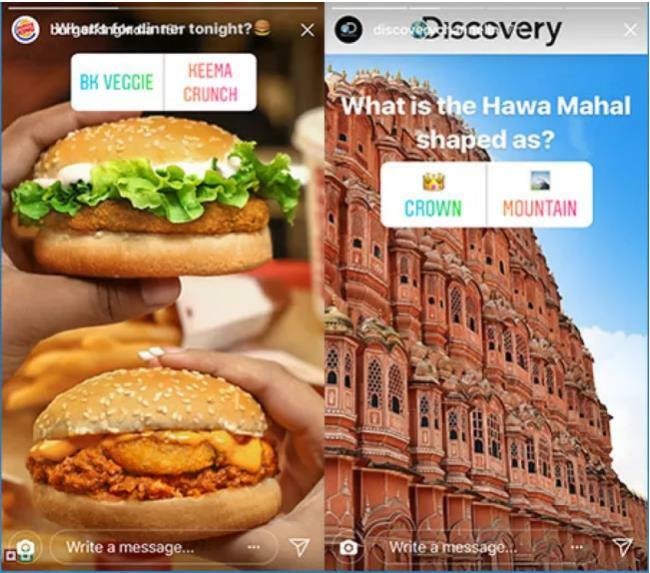 And with the engagement features platforms like Instagram continually introduce (question and poll stickers, swipe up feature, and searchable hashtags), users have every reason to engage with brands’ Stories. 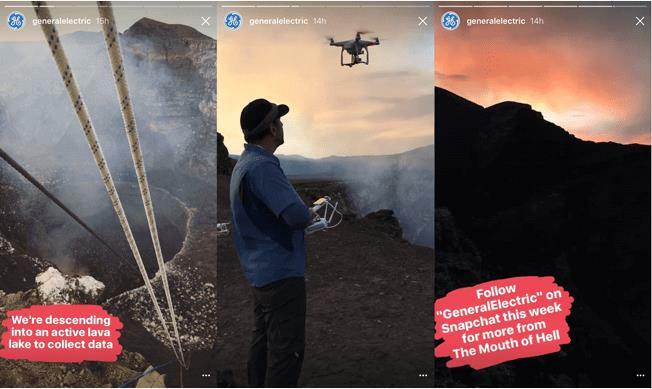 Try this on your own Stories, tag a popular brand like, say, GoPro when you post content shot using their product and add a related hashtag to boot. See how that skyrockets your views from its usual number. As well, because Stories are on top of Facebook and Instagram’s feeds (even re-appearing in the middle), it’s easier for more people to see your content. Ephemeral content forces you to either create new content or re-purpose existing ones for the format. This high content volume helps you reinforce messaging and stay on users’ top of mind. And with a creative ephemeral content strategy, you can even streamline content creation and distribution at an even higher rate. According to one infographic, up to 25% of Story viewers swipe up to follow a link and engage directly with a brand’s website. This is why 59% of brands take users to a shoppable page with their Stories. The CTA to swipe up, the 15 seconds (max) they have to decide, and the innately engaging nature of ephemeral content makes it an ideal format to utilize for boosting traffic and conversion. 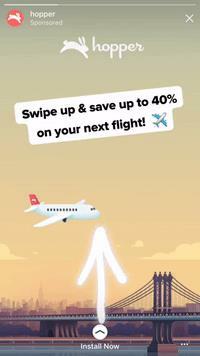 You only have a split second to catch users’ attention before they tap on to the next Story so you need to make it as eye-catching as possible. 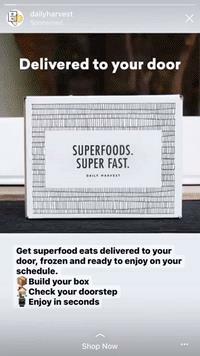 In the example above, Daily Harvest uses a series of rapid images accompanied by simple enough messaging and CTA to instantly grab users’ attention. If you’re posting a pre-produced video, make it as fast-paced as possible, opening with quick flashy clips followed by brief scenes. Or, you can keep it real simple like the example below. Everyone likes to “WIN,” so opening up with that will surely get their attention. It’s called Stories for a reason, and that’s because it works best when you tell one. 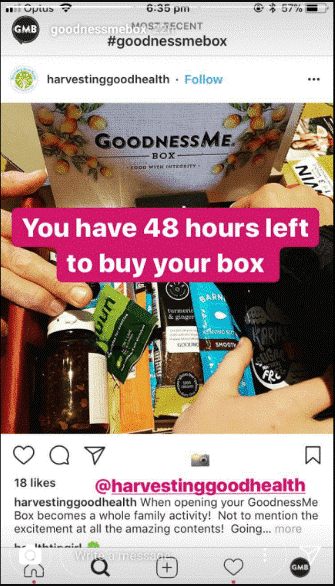 Instead of posting just any random collection of ephemeral content, hook your audiences with a series of Stories that tell one story (messaging or CTA). A great way to go about this is to tug at people’s emotions. Emotions are central to stories, so making your audiences experience strong emotions with your Stories can elevate your content from being merely temporary, to truly transformative. Whether it’s inspiring, or laugh out loud hilarious, aim to create stories that can leave lasting impressions before it disappears. 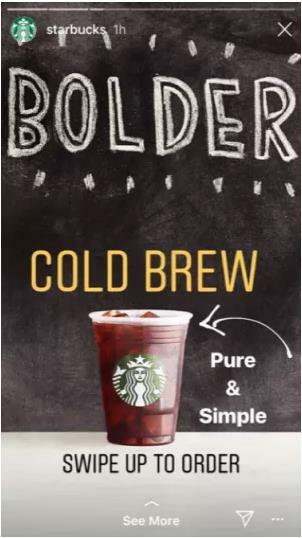 As alluded to earlier, Stories are a great way to humanize brands and make them more relatable. By giving audiences an inside look at things like a company party or a CSR activity, you can give a face and a personality to your brand. 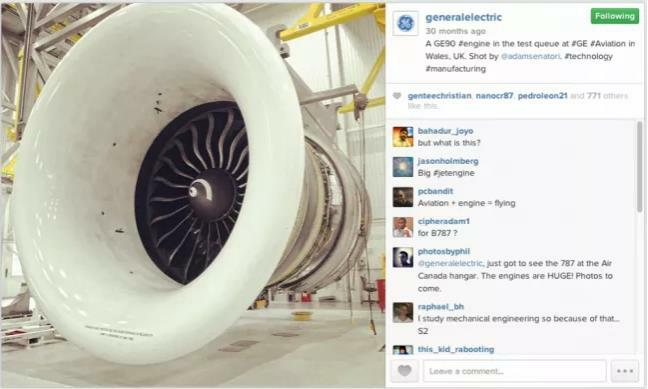 For example, the adventure may be the farthest thing on your mind when you think about GE, but by posting stories during product shoots, and product development, they’re able to make electronic products more human. Often, the way to get what you want is to simply ask. This is why having a clear call to action is crucial to effectively leverage the power of ephemeral content. Whether it’s telling them to swipe up to get to a landing page, follow an event account to stay updated, or creating user-generated content, simply (but compellingly) telling users what to do should be part of your ephemeral content strategy. Letting influencers take over your Stories is an excellent way to tap into their own audience. Just make sure that the influencers you tap complement your niche. For example, if you’re a sports apparel brand, letting a fitness influencer take over your Stories while giving audiences a BTS look at your event can create ample buzz for your brand. And you don’t even have to limit yourself to influencers similar to what GE did when they let a contest winner take over their IG account. You’re not always going to come up with a winning formula for your Stories, so you need to post regularly to find out what works. You can follow all the best practices from other brands and personalities, but if they don’t resonate with your own audience, then it’ll be all for naught. As well, you have an assortment of content types to choose from with which you can showcase your brand and products. 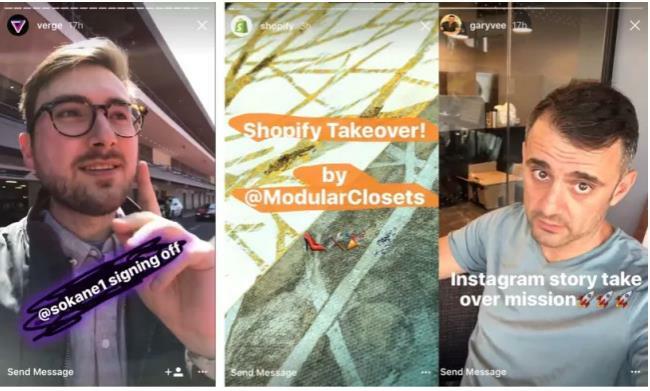 Be it product demos, tutorials, release announcements, and flash sales—you have plenty of reasons to keep posting Stories. Additionally, since Stories are always on top of feeds and even autoplay, posting regularly affords you with a chance to get your brand in front of eyeballs consistently. Since taking over mainstream consciousness in late 2016, Stories have become the norm for social sharing. When even your parents are posting Stories of their own, there’s no reason why your brand shouldn’t take advantage of all the eyeballs it attracts. Take a look at what your current brand messaging is and get creative with translating that into engaging Stories.